An ideal office solution for meeting small office requirements, this tall period building houses office space, offered unfurnished and on inclusive rates. The building is within walking distance of the town centre with shopping, transport and other amenities all conveniently close by. The office accommodation has an entry phone, is heated and come with carpets and decoration. There is a kitchen, vending machines and some parking. A choice of one, two and four-person offices are available at this business centre in the heart of Northampton. The centre benefits from a lot of passing trade and is surrounded by a variety of retail businesses. This stunning work space offers beautiful panoramic views across the Trove Valley. With 80 acres of Northamptonshire countryside the work space offers a place to build your business away from the chaos of the city. Located only 10 miles from from Milton Keynes and Northampton, the work space isn't too far away from the hustle and bustle of the city. With excellent road links the work centre is easily accessible for commuters. 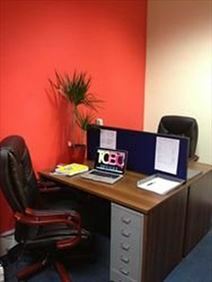 This work space is a beautifully designed open plan office with access to a glass boardroom. The building has fantastic facilities, including on-site car parking, fully functioning kitchen and 24 hour CCTV. With a on-site cafe and gym there is everything one needs in close proximity. It is easily accessible, with junction 15 of the M1 located just six miles away. There is an on-site maintenance team which can help with any property issue. This business centre provides a tranquil setting within this business park, just two miles away from Northampton Town Centre. It provides 10,000 sq.ft. of newly refurbished and fully furnished serviced office space. Northampton railway Station offers regular, direct services to London Euston and Birmingham New Street, so the centre is well connected. The space can be accessed 24-hours a day, and has security. For smaller businesses looking for a simple inclusive package in a modern setting. This period office centre has undergone recent renovation and is situated near Northampton town centre with the convenience of rail and bus connections. The offices provide reception and admin support as well as use of meeting facilities. 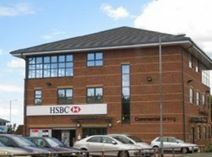 This Northampton office centre is located opposite the General Hospital, a short walk away from many shops and eateries. This centre is set in a period building, and the desk space is modern and spacious. Meeting room facilities are also available. 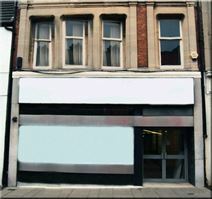 Very close to the town centre and Northampton"s main shopping area, this five-storey Victorian building was fully refurbished in 2011. There are 11 separate office rooms of varying size and a shower room in the basement. These one, two, three and four-person serviced offices (larger suites also available) are situated in the busy town centre area of Northampton. Teaching and conference rooms are available to tenants. This business centre has recently renovated, secure office space as well as storage facilities over four storeys. The building was constructed mainly from brick with a slate and concrete roof. 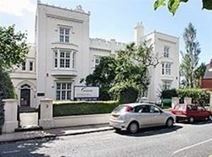 It is located close to a car park and several retail outlets, and is easily accessible since it is within walking distance of the train station, providing easy links to London. This converted factory is now a modern practical business centre with space for office, workshop, studio and storage use. The building is handy for connections by road as it is close to the M1 and there is on-site parking. Office accommodation can be provided furnished or unfurnished and there are also conference facilities for up to 40 people. Northampton railway Station provides direct services to London Euston and Birmingham New Street. This converted factory houses mixed use office and workshop space less than two miles from Northampton town centre. The complex has a modern finish and offices can be adapted to each tenant's requirements. There are meeting rooms and parking spaces available. 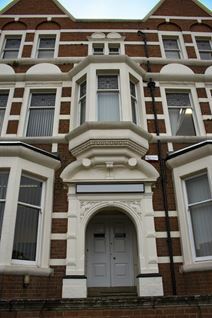 The building is situated within convenient reach of town centre services and the M1. Well connected for Northampton railway station, bus routes and local amenities, this office and storage space are to let inclusive of rates and utilities. The units benefit from kitchen facilities, security systems including CCTV and meeting/function room, which can be hired per hour. One unit includes light industrial space. The office space has natural light and there is plenty of free parking. With a choice of furnished or unfurnished office space, this business centre is situated in an established industrial area which comprises a mix of industrial and office properties. This is a new development housing HSBC, offering office space on the second floor. The space meets the requirements of a modern, high spec office with fully accessible raised floors, air conditioning and lots of daylight. The building benefits from a prominent location at the front of The Lakes, within easy reach of Northampton town centre for all local amenities and public transport connections. The second floor offices have their own entrance and there is provision for on-site parking. Near the A45 for the M1 at junction 15. With a great business friendly location on a Northampton commercial district, this recently updated office centre offers quality offices with services including reception and business support. Facilities include air conditioning, shared kitchen, IT infrastructure and meeting accommodation. The site is great for the M1 and Northampton's mainline railway link. Both connections offering convenient travel to London. Offering partially serviced offices in a period building with inclusive rates and flexible terms. The location is handy for the town centre and only a 10 minute walk from the railway station. 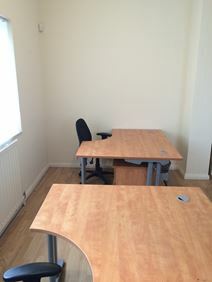 Office accommodation is ready for new tenants to move in and provides 24 hr accesses. 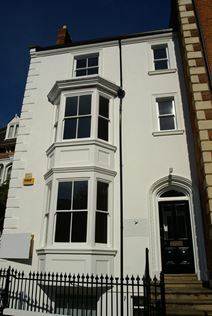 Situated on a street that was named High Street of the Year in 2015 this fabulously refurbished Victorian building provides 11 office rooms over three floors. All tenants have access to a garden to top things off. Strategically located on the Moulton business park this modern serviced workspace provides a mix of furnished and unfurnished options that are within easy reach of Northampton Town Centre. IT and telecoms ready, free parking and meeting room access all included.